I love throwing parties. 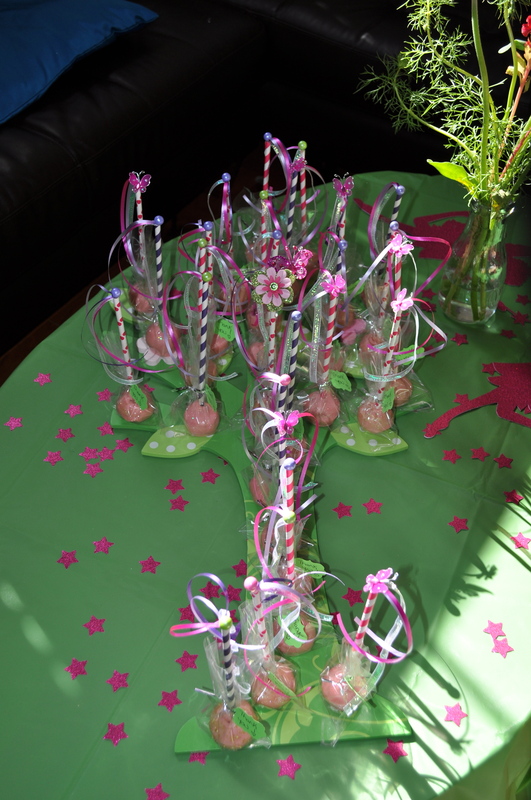 Specifically, I love throwing parties for my daughter. And despite the promise I make every year at the end of her party, I went big again this year. My house looks like Ziggy Stardust exploded, coating it in a fine layer of glitter everywhere. All of the invitations, thank you cards, and cut out decorations were done by an amazing company Nickel Design. We have been lucky enough to have my daughters invitations done every year by a truly amazing artist. You can see her first and second birthday invitations on her site. 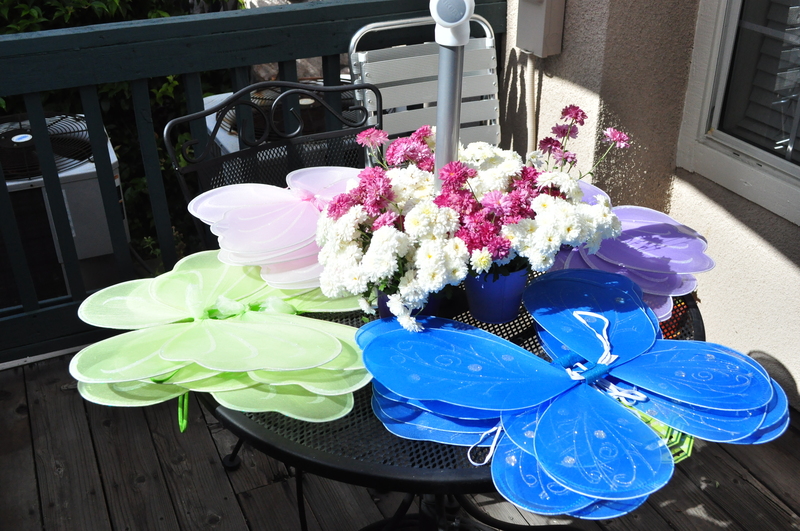 We went with a fairy theme this year. Complete with a visit from an amazing fairy to do face painting and balloon animals. This was totally worth it as I am fairly sure my daughter thought she was real. In her mind it was indistinguishable from magic. Which made my day, possibly my year. 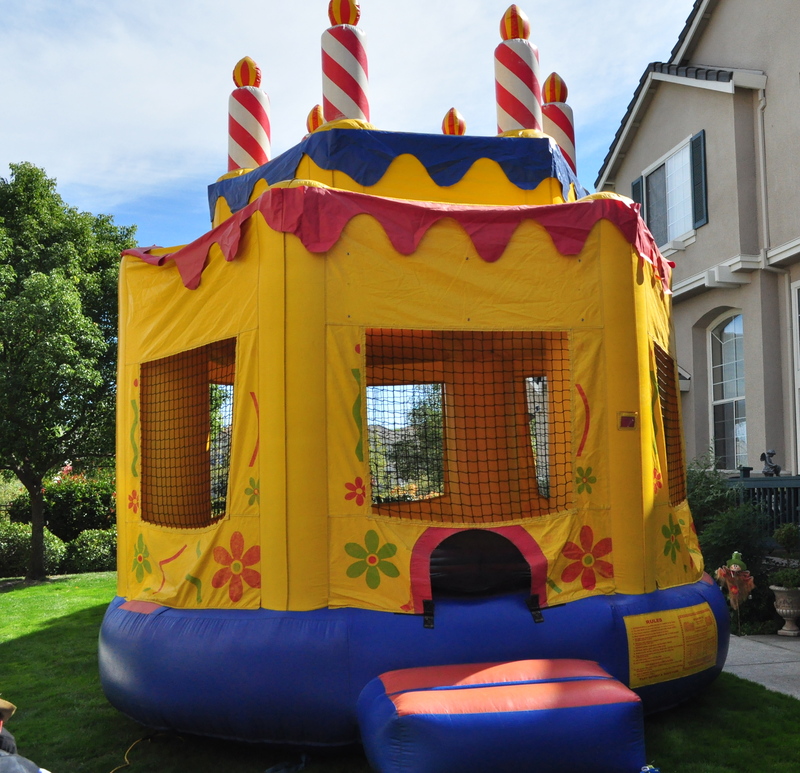 A bounce house seemed like a good idea when there are a multitude of children to entertain. Wings for everyone. Hence the large amounts of glitter. 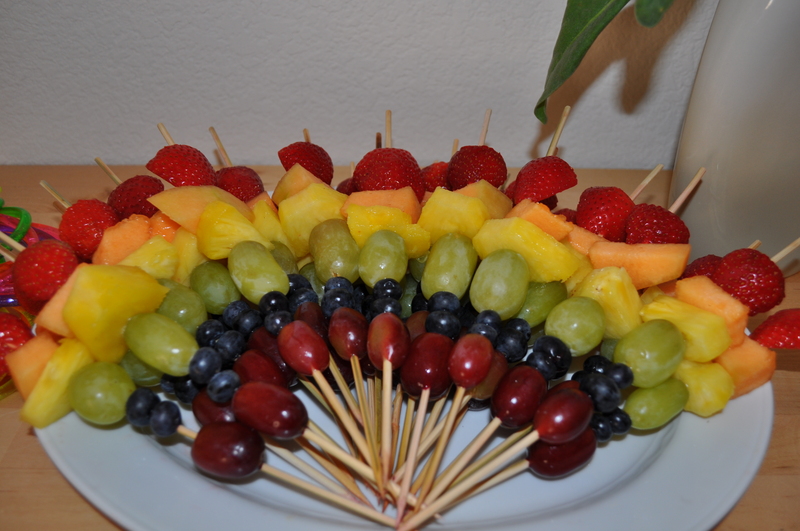 I did these easy fruit skewers. They are lovely to look at and the kids ate them up in minutes. 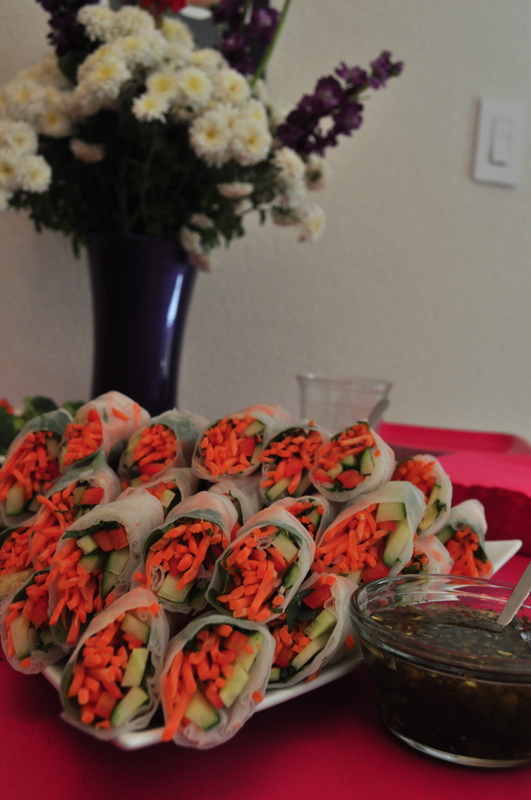 These are my semi-famous spring rolls. Please see the previous train party post for the recipe. 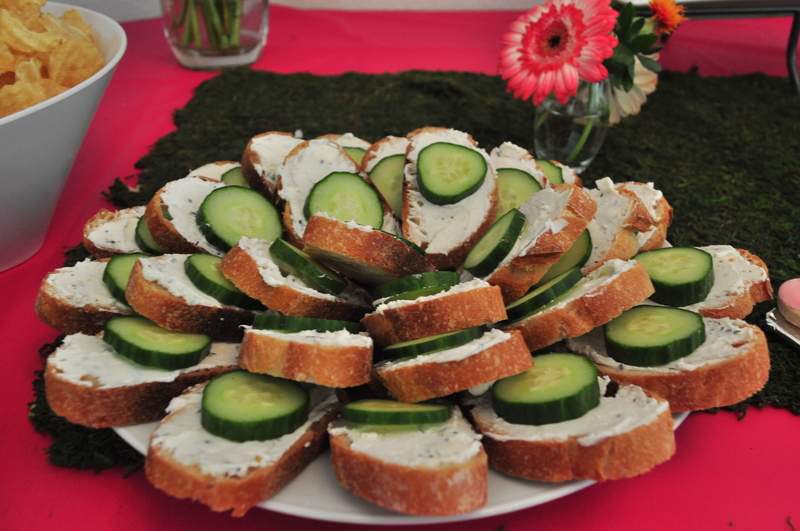 Herbed Goat Cheese Sandwiches are always a big hit and are easy to do. And then comes the treats. I decided to do cake pops for the take homes this year. What can be better than a favor you can eat before you even get home. A dear friend made these for my daughter. They were a huge hit and matched perfectly. And my personal favorite part of any party. So next year note to self and reference this post so I can remind myself how tiring it can be and then be sure to dream it all up again bigger and better. 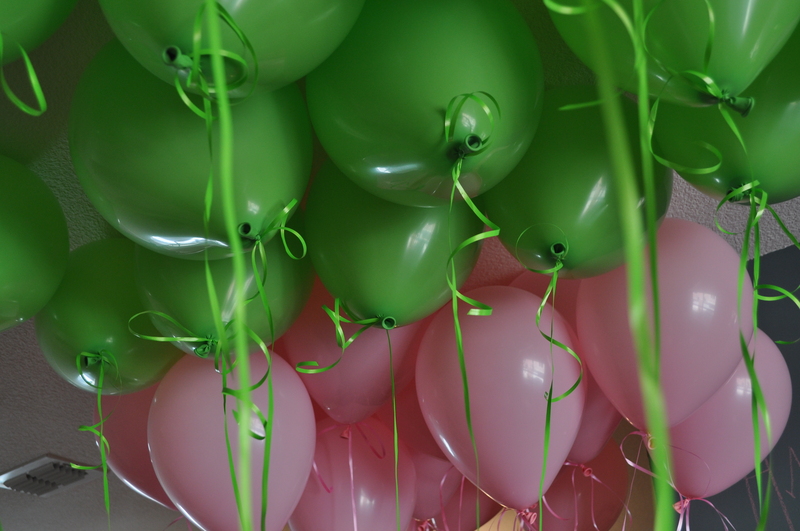 This entry was posted in Party and tagged birthday party, children, fairy by 24useablehours. Bookmark the permalink. Beautiful photographs too! Is there anything you can’t do? Thank you so much for the shout-out! Your parties are Legend-wait for it-ary : ) Thank you for always including us and being the perfect host!